People of the Bible Archives | "I am Alpha and Omega, the beginning and the ending" (Rev 1:8)..
Zephaniah lived about 2600 years ago. He might have been a great grandson of King Hezekiah. If so, then Zephaniah would have been a cousin of King Josiah, during whose reign he prophesied. Zephaniah was a prophet to Judah (the southern part of the Jewish homeland, which includes Jerusalem), during the year before its destruction by the Babylonians in 586 BC. Zephaniah was stern and austere, much like the prophet Amos. Thou shalt have no other gods before me (Ex 20:3). The Book of Zephaniah deals mainly with the Day of Judgment. He also predicted Nineveh, the capitol of Assyria, would become a deserted ruin (which it is, today, despite the fact that it was in Zephaniah’s time the capital of the Assyrian Empire). Zephaniah’s ministry followed Isaiah’s ministry by about 75 years. Zephaniah means “The Lord has hidden away.” His book is the ninth book of the Minor Prophets. 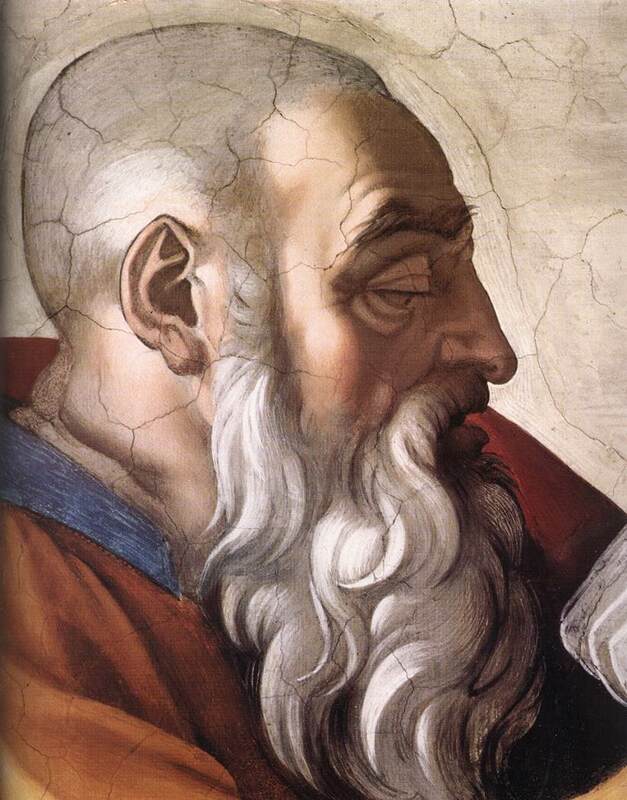 Zechariah was a prophet from 520 B.C. to 518 B.C. in Jerusalem. During that era, many Jews were returning from the Babylonian Captivity to rebuild Jerusalem and the Temple, which had been destroyed by the Babylonians. Zechariah, the son of Iddo, was instrumental in inspiring his fellow Jews to rebuild the Temple (see Ezra 6:14). Zechariah began prophesying during the same year as the prophet Haggai, in about 520 B.C. Zechariah’s prophecies came from visions that showed God’s power, God’s judgment of sin, the importance of spiritual strength, and the promise of things to come, including the promise of the Messiah. Zechariah’s prophecies often looked far into the future, a future in which the Jews would again be exiled from their homeland and scattered throughout the world. His prophecies said that Jews would be persecuted worldwide, that Jerusalem would become a battleground of nations, and that Jerusalem would become the religious center of the world. Today, we can see with our own eyes that Zechariah’s prophecies accurately described the worldwide dispersion of Jews that has taken place during the past 1900 years, as well as the fact that Jerusalem has become a focal point of the international community (the United States and Europe, and the United Nations) and a religious focal point among Jews, Christians and Moslems. Zechariah, means “Yah has remembered.” The Bible’s book of Zechariah is the 11th book of the twelve minor prophets. The Greek historian, essayist, and military expert Xenophon (ca. 430-ca. 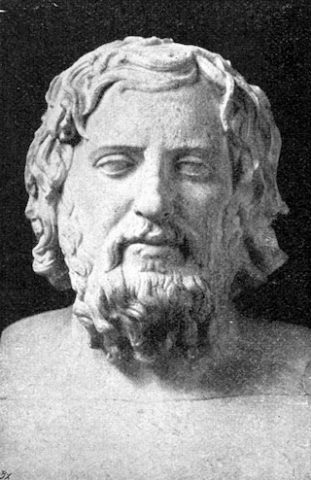 355 BC) was the most popular of the Greek historians. He facilitated the change from the Thucydidean tradition of history to rhetoric. The son of Gryllus of the Athenian deme of Erchia Xenophon was of aristocratic background and means. He studied under Socrates. Married to Philesia, he had two sons, both of whom were educated in Sparta. In 401, despite a warning from Socrates and consultation with the oracle at Delphi, he became involved in the expedition of Cyrus against Artaxerxes at the invitation of Proxenus of Thebes. Xenophon was initially unaware of Cyrus’s true purpose, which was to gain the crown of Persia. After Cyrus was killed at the battle of Cunaxa in Babylonia, his troops dispersed; Clearchus and other Greek commanders were treacherously murdered by the Persian satrap Tissaphernes, and Xenophon was elected general. Joseph was born in Jerusalem in 37 CE as the son of Matthias, a man from priestly descent, and a mother who claimed royal blood. Stated differently, he was born as a Sadducee and an aristocrat (the two main sects in Jesus’ time were the Sadducees and the Pharisees, both are bad. The Apostle Paul had been a Pharisee before he met Jesus). Joseph must have been a real know-it-all because he excelled in all his studies and at the age of 16 he decided to find out for himself what philosophy was best, that of the Sadducees, that of the Essenes, or that of the Pharisees. He was also fluent in Aramaic (I believe that is what Jesus spoke), Hebrew, and Greek. Although he studied all three systems, he wasn’t content and for three years he lived in the desert with a hermit named Bannus. Returning to Jerusalem at the age of 19 he chose to become a Pharisee. The writings of Josephus are considered important secular historical documents that could shed light on the origins of Christianity. His works include material about individuals, groups, customs, and geographical places. Some of these, such as the city of Seron, aren’t referenced in the surviving texts of any other ancient authority. His writings provide a significant extra-Biblical account of the post-Exilic period of the Maccabees, the Hasmonean dynasty, and the rise of Herod the Great, Agrippa I, Agrippa II, John the Baptist, James the brother of Jesus, and a disputed reference to Jesus (for more see Josephus on Jesus). He is an important source of studies of immediate post-Temple Judaism and the context of early Christianity. A careful reading of Josephus’ writings and years of excavation allowed Ehud Netzer, an archaeologist from Hebrew University, to discover that location of Herod’s Tomb after a search of 35 years. It was above aqueducts and pools at a flattened desert site halfway up the hill to the Herodium, 12 kilometers south of Jerusalem, as described in Josephus’s writings. Josephus is not mentioned in the Bible, but he had a lot to say about people, places, and events of the Bible. The name, Lucifer, means “day star,” or “son of the morning.” But his name was changed to Satan when he was kicked out of heaven. Lucifer was a magnificent being, but pride overtook his heart, and sin cost him everything. Lucifer is one of three archangels mentioned in Scripture, the other two are Michael and Gabriel. He was created by God just as all angels were, but his role was different from the other angelic hosts. Lucifer was referred to as the “covering angel.” Just as the cherubim covered the mercy seat of the Ark of the Covenant, Lucifer was established by God to be the angel of worship, one whose ministry surrounded the heart of heaven. Lucifer was created to dwell eternally in the throne room of heaven, in the very presence of God. Thou art the anointed cherub that covereth; and I have set thee so: thou wast upon the holy mount of God; thou hast walked up and down in the midst of the stones of fire (Eze 28:14). Thou has been in Eden, the garden of God; every precious stone was thy covering, the sardius, topaz, and the diamond, the beryl, the onyx, and the jasper, the sapphire, the emerald, and the carbuncle, and gold: The workmanship of thy tabrets and of thy pipes was prepared in thee in the day that thou wast created (Eze 28:13). To dwell in the awesome presence of a perfect and holy God Lucifer had to be perfect. There was nothing ordinary or plain about his appearance. Adorned with gold and precious stones, he truly fit the name, “Son of the Morning.” He was a step above the other angels, not only in appearance but also in intellect. Lucifer’s wisdom far exceeded that of other angelic beings. He understood the ways of God. Lucifer had wisdom, beauty, ability, perfection, and yet he wanted more; he wanted to be worshiped like God. But God does not share His glory, nor does He permit another to receive worship. So when Lucifer made his move he was removed from the presence of God. Cast out of heaven like a bolt of lightning. He was stripped of his beauty, his position, and his rights to heaven. Satan’s constant attempt ever since has been to oppose the mighty plan of God. He even attempted to tempt Jesus to sin and worship Him and to do that you have to be extremely arrogant, pompous, and downright stupid. All the kings of the nations, even all of them, lie in glory, everyone in his own house. But thou art cast out of thy grave like an abominable branch, and as the raiment of those that are slain, thrust through with a sword, that go down to the stones of the pit; as a carcass trodden under feet. And whosoever shall exalt himself shall be abased; and he that shall humble himself shall be exalted (Matt 23:12). Love not the world, neither the things that are in the world. If any man love he world, the love of the Father is not in him. For all that is in the world, the lust of the flesh, and the lust of the yes, and the pride of life, is not of the Father, but is of the world. And the world passeth away, and the lust thereof: but he that doeth the will of God abideth forever (1 Jn 2:15-17). That means you can’t place yourself above Jesus, exalt yourself, and expect to live in heaven. As Jesus said directly above in Matthew 23:12.
who was the priest at Shiloh. Samuel served a variety of roles in Israel: he was a prophet, the last Judge, and a military leader. He was widely recognized throughout the country (1 Sam 3:20). His home was in Ramah, where he headed groups of prophets. At this time in Israel’s history, about 3000 years ago, the nation was ruled by judges who settled disputes, not kings. But the people demanded to have a king like other nations. Samuel was opposed to having a king rule over Israel because he interpreted that as an act of apostasy and a rejection of the kingship of God and he warned them that they would regret such a request. But God told Samuel anoint Saul, son of Kish, as king and so the people got what they wanted (1 Sam 8:6-22). In time, the relationship between Saul and Samuel deteriorated and Saul took over certain functions that had belonged to a priest, not a king. Saul’s worst mistake he ever made is he disobeyed God after the battle with Amalekites. And Samuel said, When thou wast little in thine own sight wast thou not made the head of the tribes of Israel and the LORD anointed thee king over Israel? And the LORD sent thee on a journey and said, Go and utterly destroy the sinners the Amalekites and fight against them until they be consumed. Wherefore then didst thou not obey the voice of the LORD, but didst fly upon the spoil and didst evil in the sight of the LORD? And Saul said unto Samuel, Yea, I have obeyed the voice of the LORD, and have gone the way which the LORD sent me and have brought Agag the king of Amalek and have utterly destroyed the Amalekites. But the people took of the spoil, sheep and oxen, and chief of the things which should have been utterly destroyed, to sacrifice unto the LORD thy God in Gilgal. And Samuel said, Hath the LORD as great delight in burnt-offerings and sacrifices, as in obeying the voice of the LORD? Behold, to obey is better than sacrifice and to hearken than the fat of rams. For rebellion is as the sin of witchcraft and stubbornness is as iniquity and idolatry. Because thou hast rejected the word of the LORD, he hath also rejected thee from being king (1 Sam 15:17-23). God didn’t reject Saul’s kingship due to his actions, his disobedience, but the reason why Saul disobeyed, which is his selfishness and evil heart. God had Samuel anoint young David to be the next king (1 Sam 16:12-13). King Saul grew jealous of David so he fled to flee from Saul and was given refuge by Samuel in his home in Ramah. David eventually succeeded Saul as king, but Samuel didn’t live long enough to see that. The story of Samuel is found in the book of 1 Samuel, chapters 1-25. Samson (means “Little Sun”), a member of the tribe of Dan, was the 13th Judge of Israel. He judged Israel for 20 years. Samson’s mother received a visit from an angel (Jud 13:3-7) who told her she would give birth to an unusual son, a Nazirite, and not to cut his hair. Samson had great strength, he killed a lion with his bare hands (Jud 14:5-7) and later killed 1,000 Philistines with a jawbone of a donkey (Jud 15:14-16). He had romantic encounters with 3 Philistine women. He fell in love with one of the women, Delilah (Jud 16:4). The five leaders of the Philistine nation went to Delilah and demanded that she find out from Samson what made him so strong so they could subdue him (Jud 16:5). She eventually convinced Samson to tell her where his strength came from (he was strong, but not smart, but that’s men for you, we are the brightest when it comes to women), she found out that it came from the length of his hair, it had never been cut. While he slept, Samson’s hair was cut off and he was captured by the Philistines, who gouged out his eyes and made him grind grain in prison, yet, his hair began to grow back (Jud 16:19-22). Oh Lord GOD, remember me, I pray thee, and strengthen me, I pray thee, only this once, O God, that I may be at once avenged of the Philistines for my two eyes (Jud 16:28). And Samson said; Let me die with the Philistines. And he bowed himself with all his might; and the house fell upon the lords and upon all the people that were therein. So the dead which he slew at his death were more than they which he slew in his life (Jud 16:30). His brothers brought him back home and buried him between Zorah and Eshtaol, where his father Manoah was buried. The story of Samson is found in the book of Judges, chapters 13-16. Plato (427-347 B.C.) was Greek philosopher. In 407 B.C. he became a pupil and friend of Socrates. After living for a time at the Syracuse court, Plato founded (c.387 B.C.) near Athens, the most influential school of the ancient world, the Academy, where he taught until his death. His most famous pupil there was Aristotle. Plato’s extant work is in the form of epistles and dialogues, divided according to the probable order of composition. 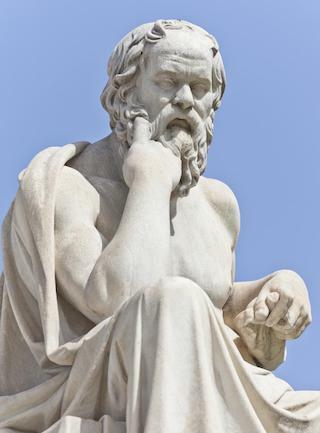 The early, or Socratic, dialogues, e.g., the Apology, Meno, and Gorgias, present Socrates in conversations that illustrate his major ideas – the unity of virtue and knowledge and of virtue and happiness. They also contain Plato’s moving account of the last days and death of Socrates. Plato’s goal in dialogues of the middle years, e.g., the Republic, Phaedo, Symposium, and Timaeus, was to show the rational relationship between the soul, the state, and the cosmos. The later dialogues, e.g., the Laws and Parmenides, contain treatises on law, mathematics, technical philosophic problems, and natural science. Plato regarded the rational soul as immortal, and he believed in a world soul and a Demiurge, the creator of the physical world. He argued for the independent reality of Ideas, or Forms, as the immutable archetypes of all temporal phenomena and as the only guarantee of ethical standards and of objective scientific knowledge. Virtue consists in the harmony of the human soul with the universe of Ideas, which assure order, intelligence, and pattern to a world in constant flux. Supreme among them is the Idea of the Good, analogous to the sun in the physical world. Only the philosopher, who understands the harmony of all parts of the universe with the Idea of the Good, is capable of ruling the just state. 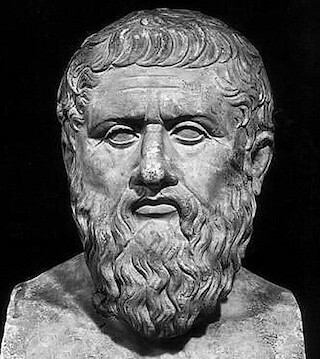 In Plato’s various dialogues he touched upon virtually every problem that has occupied subsequent philosophers; his teachings have been among the most influential in the history of Western civilization, and his works are counted among the world’s finest literature. Plato is not mentioned in the Bible, but he was there because he was Aristotle’s teacher and one of Socrates‘ students.